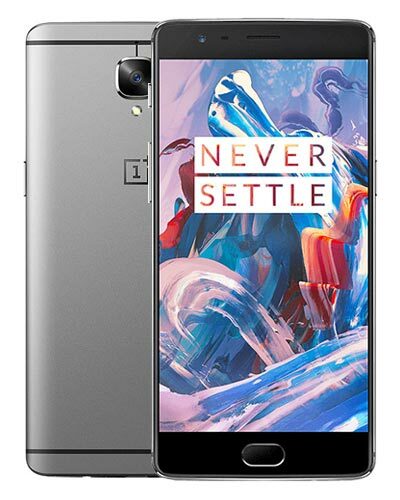 We provide top-quality OnePlus Three repair service almost anywhere in Metro Vancouver. Identify this OnePlus phone with model number A3001 or A3003. Does your OnePlus 3 or OnePlus 3T have a broken glass screen? Then this is the repair for you! Come on by our centrally located repair shop at 245 W Broadway Vancouver for a fast screen replacement. Includes both display and touchscreen. We can have you phone fixed up in 3 hours or less! If your USB cable doesn't fit or charge your Android, you may need to have the charging port replaced. A simple repair can get your phone juiced up and ready for use once again. Please phone us at 604-700-6049 to check for a quote and stock availability. A special order may need to be placed for this repair. If you can't hear people during a phone call or if your Android doesn't ring when somebody calls you, you might need a new ear speaker or loud speaker. Please phone us at 604-700-6049 to check for a quote and stock availability. A special order may need to be placed for this repair. Those buttons aren't nearly as satisfying to push when they don't do anything! Whether you are having trouble with your home button, on-screen buttons, volume buttons or power button, we got this! Please phone us at 604-700-6049 to check stock availability - special order may be required. If your headphones don't fit into your headphone jack or if you don't hear sound through them, you may need this repair. Please phone us at 604-700-6049 to check for a quote and stock availability. A special order may need to be placed for this repair. Lights, camera....no action? If your selfie cam or main camera is glitching out, we can usually fix this by replacing the camera itself. Please phone us at 604-700-6049 to check for a quote and stock availability. A special order may need to be placed for this repair. Hello? Is anybody home? If people can’t hear you when you're making a call or if there is no sound when you're recording a video, you might need one of your microphones replaced. Please phone us at 604-700-6049 to check for a quote and stock availability. A special order may need to be placed for this repair. Having trouble with wifi, bluetooth or cellular connectivity? We can replace or repair the antennae inside of your phone to rectify the issue! Please phone us at 604-700-6049 to check for a quote and stock availability. A special order may need to be placed for this repair. Are those dings and scratches in your phone beginning to bother you? We can replace your entire frame to restore it back to its former glory and make it new again! We don't typically carry these parts so please call us at 604-700-6049 to get a quote for a special order, just for you. Repair comes with front glass and display.